There are so many reasons why digital educations can be confusing. They are generally a costly venture, there are literally thousands upon thousands of options, and have I mentioned it costs a lot? It’s stressful to decipher what’s worth investing in and what’s not. In creating my education courses, I thought a lot about what services would be beneficial. I paid attention to where my success could be credited and what would work for others that had worked for me. This type of backend effort was necessary to ensure that my products had value and more importantly, that my students found success. My end game wasn’t simply profit. It couldn't have been or my online courses wouldn’t have been successful. Effective education is about teaching skills in an engaging and applicable way that students can easily digest. Course content should be an investment for the student in that once learning the new skill, students can ultimately earn back the investments they have made through using that skill. Still, that doesn’t really help when trying to navigate the world of online education offerings. There’s so much out there, it’s overwhelming. 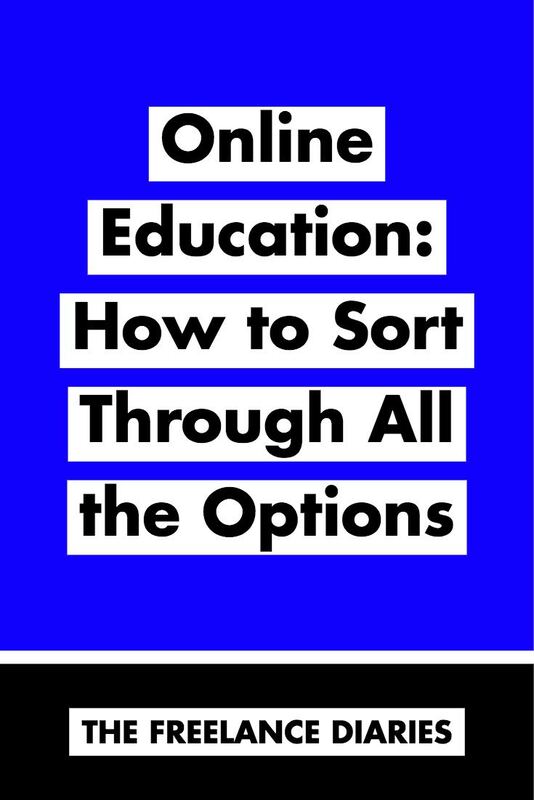 I invested in traditional and online education myself over the years, and so I know first hand how chaotic it can be to figure out the worth behind the digital educations, the workshops, the mentoring coaches, or whatever the choices may be. Even though most offerings come with refund guarantees, that doesn’t make the initial investment any less terrifying. I thought hard about what I wanted to learn. What did I want to gain from education, and did this education get me there? If my endgame was increasing my job inquiries, maybe focusing my education in marketing would be the best focus, because it could teach me how to get my work in front of the right people. I asked myself if the person teaching has standards I uphold for my business? This could be financially, it could be ethically, or it could even be personal preference. I even thought about whether the kind of lifestyle the educator living, is the kind I want for myself? Some of these questions may seem too personal or intensive, maybe even irrelevant, but consider this: if you’re investing in the opportunity to learn from the mistakes of someone who’s been there before you, do you think the kind of experience they have include the kind of situations you would even land yourself in? Do you want to find success in the way they have? When it comes to online education, it’s worth the effort to do your research. Read the reviews, study the educator, don’t simply base your investment on who’s popular or who’s got the highest social media following. The key to creative education isn’t about what the person wants to share, it’s entirely about whatever it is you want to learn. It all comes down to being intentional with your education. Deciding what it is you want to learn and making the most informed choice you possibly can based on your goals. I left a few of the classes/teachers that have inspired me below, but I would love to hear your guys’ recommendations or some of the classes you’ve been considering purchasing!! Drop names/links in the comments below or feel free to share and @ me to let me know that way! Molly’s favorite online education offerings! Skillshare *get two months free!